Electrical Bus bars is the structure which carries a huge amount of power. 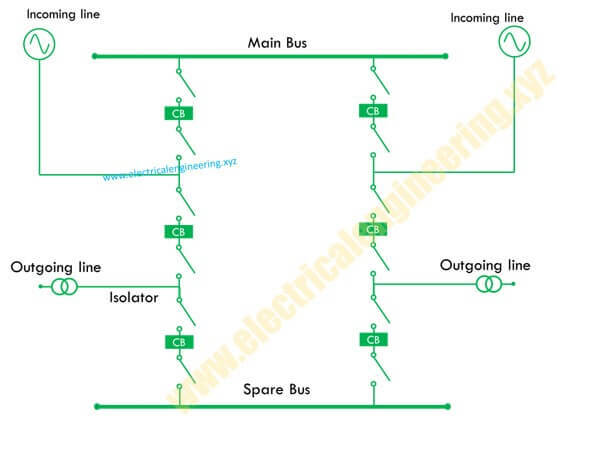 A bus bar is the most important structure in the substation where power is gathered for further substitution. 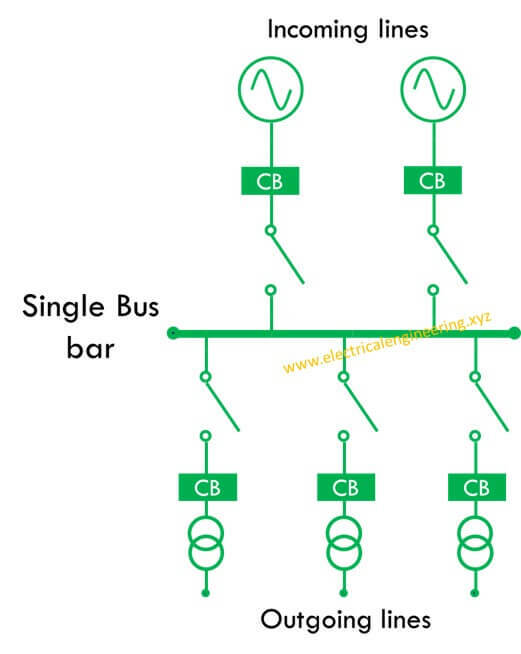 Depending on the voltage level, reliability and flexibility, a bus bar can be arranged in different configurations. 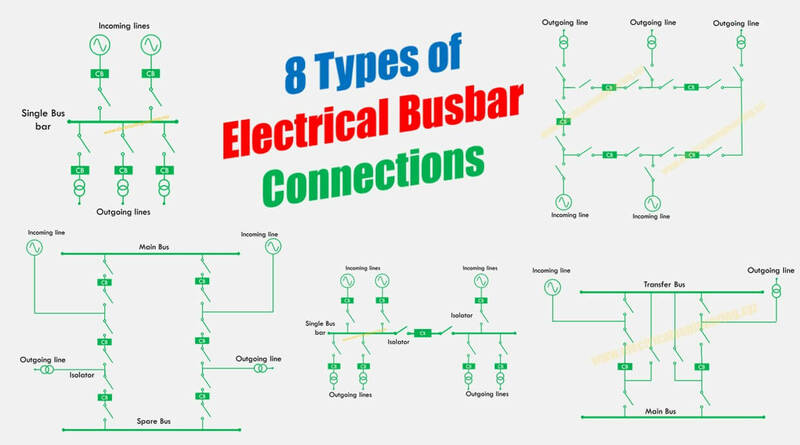 Given below is the list of 8 different types of such connections in which busbars can be arranged. This is most simple and cheapest bus bar arrangement. It comprises a single bus bar to which all incoming and outgoing lines are joined. Such a line requires little maintenance. However, a major problem associated with such system is that its repair is not possible without interrupting whole circuit. In this scheme, a single bus is divided into multiple sections and the load is divided into sections. 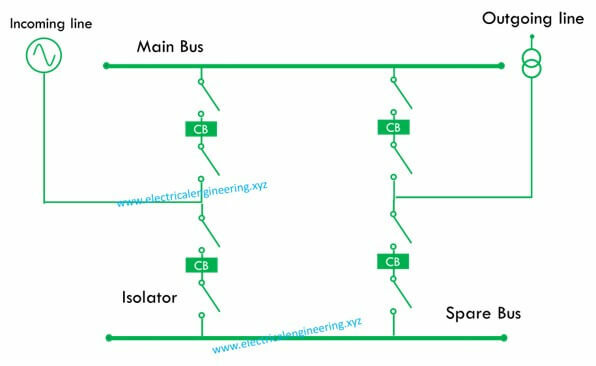 The sections of bus bars are connected using circuit breaker and isolators. Such a system has many advantages. In case of a fault, one section of the bus can be isolated from other sections. In this system, two bus bars are used. Each of the buses can take entire load. One of these buses is named main and the other one is known as a spare bus. The buses are connected together using bus coupler. Such system is reliable and continuity of supply can be maintained using either of the buses. Usually, the main bus is used, in case of maintenance the spare bus can be employed. 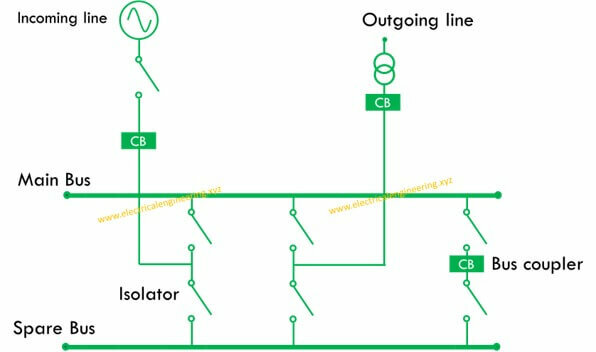 This scheme comprises two busbars having two breakers for each connection. In this scheme the breakers and isolators can be removed without interrupting supply. 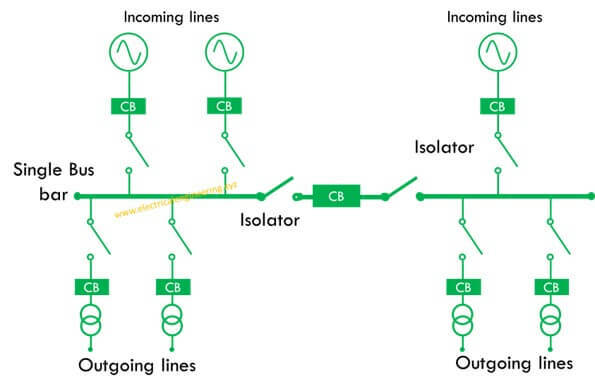 The double busbar double breaker scheme is an expensive scheme and is only recommended for very large stations where connection security is important. In this scheme, three circuit breakers are used for every two circuits. As the name of arrangement indicates the connections involve two buses. This arrangement is an improvement of previous one with the major aim of reducing the number of circuit breakers. 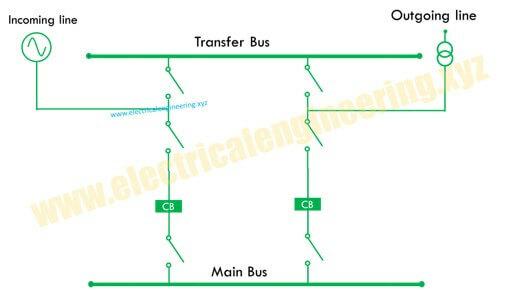 This arrangement comprises a main bus that is used under ordinary conditions and a transformer bus for emergency purposes. The major advantage associated with this scheme is the use of single circuit breaker for tieing purposes. 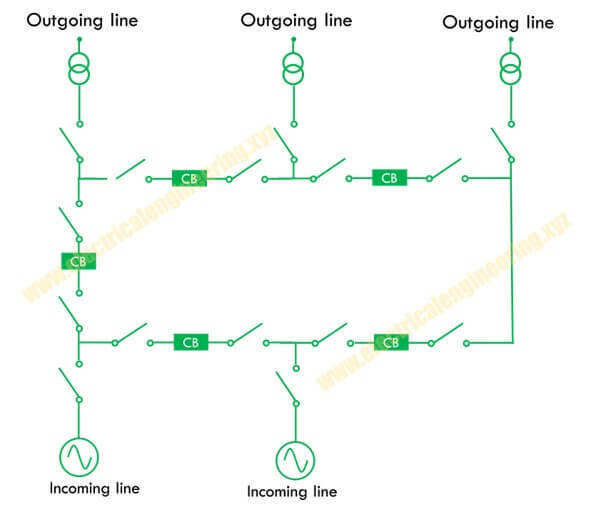 Such connection scheme is affordable with the main drawback involving complete shutdown of a substation in case of failure. 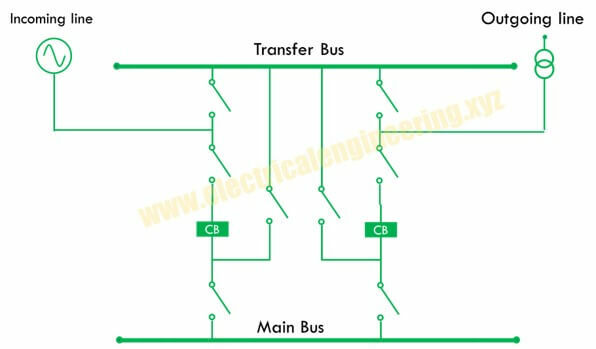 Double bus bar with bypass isolator is an economical scheme in which isolators are used for transferring load from bus 1 to bus 2. Such scheme is advantages in terms of economy as well as it provides feasibility to take out any breaker without interruption os supply. Ring bus scheme is also known as mesh scheme. Such scheme requires only one breaker per circuit, it has a low initial scheme and any breaker can be removed without interrupting supply. However, this scheme has the major disadvantage of complexity and difficulty of reclosing. So that was all about 8 types of connection schemes.